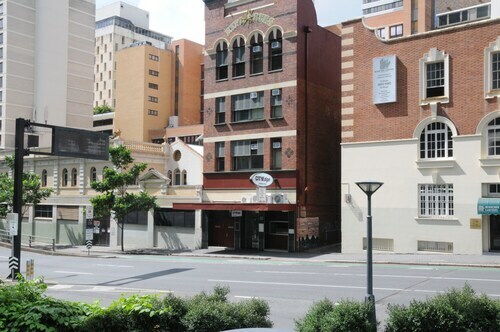 Located in Brisbane Central Business District, this hotel is steps from North Quay and Brisbane City Hall. 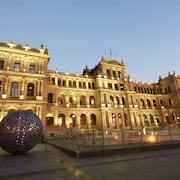 Queen Street Mall and King George Square are also within 10 minutes. Brisbane Roma Street Station is 6 minutes by foot and Brisbane Central Station is 8 minutes. Situated in Windsor, this hotel is within 1 mi (2 km) of Royal Children's Hospital, Royal Brisbane & Women's Hospital, and RNA Showgrounds. Tivoli and Emporium are also within 2 mi (3 km). Brisbane Windsor Station is 9 minutes by foot and Brisbane Wilston Station is 18 minutes. 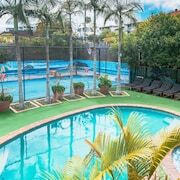 Situated in Hamilton, this golf motel is within a 5-minute walk of Portside Wharf and Brisbane Cruise Terminal. Emporium and RNA Showgrounds are also within 3 mi (5 km). Brisbane Doomben Station is 14 minutes by foot and Brisbane Ascot Station is 20 minutes. 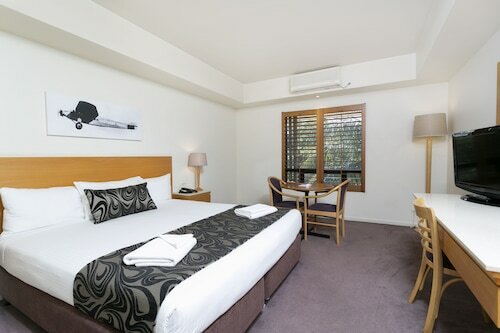 Situated in Northgate, this motel is 2.3 mi (3.7 km) from Nudgee Golf Club and 3 mi (4.8 km) from Eagle Farm Racecourse. St Joseph's Nudgee College and Brisbane Entertainment Centre are also within 6 mi (10 km). Brisbane Northgate Station is 15 minutes by foot and Brisbane Nundah Station is 24 minutes. 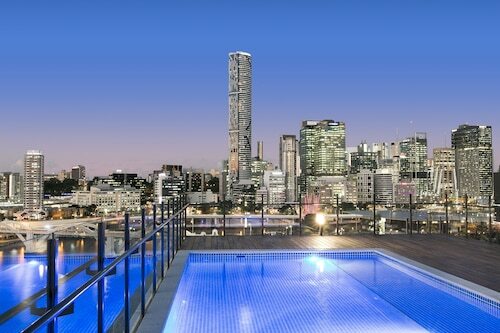 Situated in the entertainment district, this luxury hotel is within a 10-minute walk of Mater Private Hospital Brisbane and South Bank Parklands. 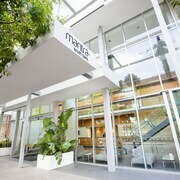 Brisbane Convention and Exhibition Centre and Kangaroo Point Cliffs are also within 15 minutes. South Bank Station is 7 minutes by foot and South Brisbane Station is 18 minutes. 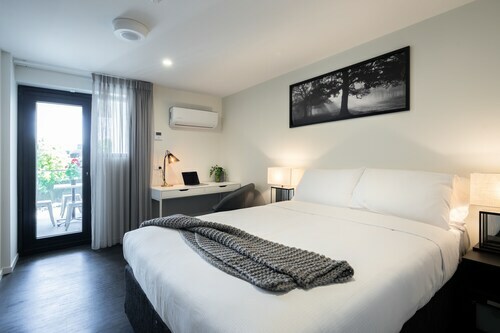 Situated in the entertainment district, this hotel is within a 15-minute walk of Queensland Performing Arts Centre, Wheel of Brisbane, and Brisbane Convention and Exhibition Centre. Southbank Parklands and Queen Street Mall are also within 1 mi (2 km). South Brisbane Station is 9 minutes by foot and Brisbane Roma Street Station is 14 minutes. 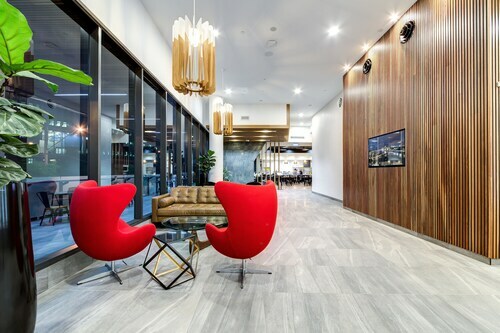 Situated in the entertainment district, this spa apartment building is within a 10-minute walk of Queensland Art Gallery, South Bank Parklands, and Brisbane Convention and Exhibition Centre. Queensland Performing Arts Centre and Wheel of Brisbane are also within 10 minutes. South Brisbane Station is 7 minutes by foot and Brisbane Roma Street Station is 16 minutes. 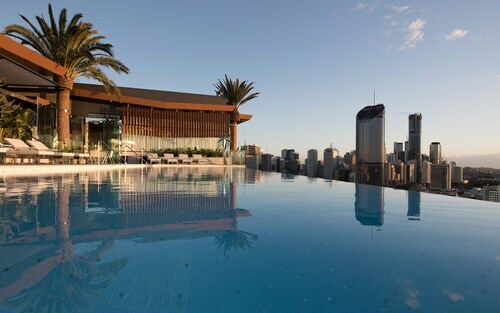 Brisvegas is awaiting your arrival! Let us lend a helping hand with any pesky, little Brisbane Airport (BNE) particulars, so you can focus on experiencing Brisbane. For a better selection of services and facilities, and some all-important rest from crazy airport terminals, look at spending a night in one of the nearby neighbourhoods. 5 kilometres away is Northgate. Of its 6 listed accommodation options, you can't go wrong with the Novotel Brisbane Airport and the Comfort Inn & Suites Northgate Airport. Exploring the surrounding area couldn't be easier. Domestic Airport Station, the nearest rail station, is merely 0.1 kilometres from Brisbane Airport. Don’t pass up your chance to see some of the wonderful local attractions. After all, Queen Street Mall is only about 13 kilometres away. It's time to take off on your next big adventure. 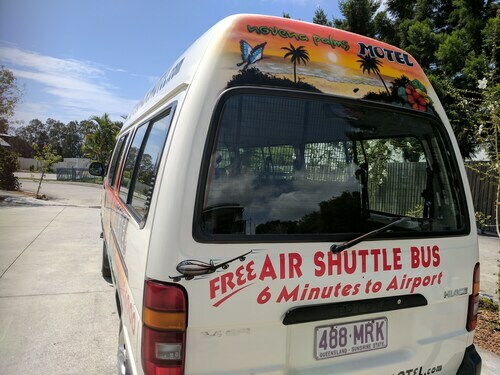 Book your Brisbane Airport accommodation right now! Is there a hotel in Brisbane Airport? 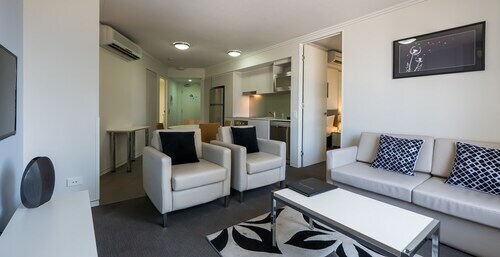 ThePullman Brisbane Airport is a great accommodation option at Brisbane Airport. 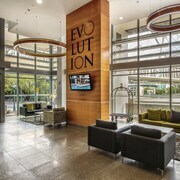 With amenities such as a 24-hour front desk, all your hotel needs will be catered to here. 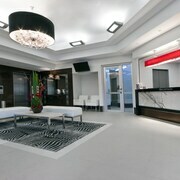 The ibis Brisbane Airport Hotel is another solid choice at the airport, and very budget-friendly. If you don’t mind a short drive, the Novotel Brisbane Airport isn’t far from the airport and will provide a luxury stay. While you’re here, enjoy free Wi-Fi and a 24-hour front desk. Staff were not truthful regarding room availability. Trust lost! Not very reconcilary. The pool on the roof was a hit with the kids,it was a close walk to everything you needed,was very quite homely and cosy perfect for a family to stay. The staff were helpful, friendly and very on point with everything. 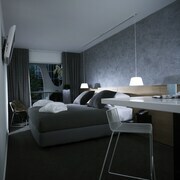 Nice and tidy place but a very small room for 2 queen beds.